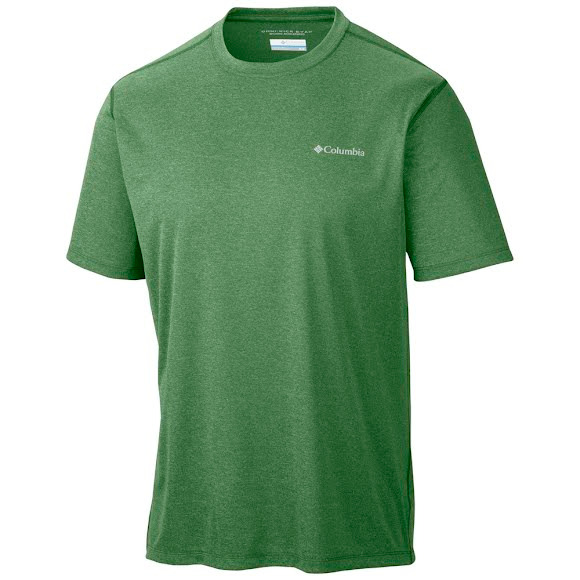 A progressive tech tee at a nice price, Columbia's soft, stretchy, UPF-30 Accelerwick Short Sleeve Shirt protects you from the sun and keeps you dry and comfortable through heat and hard work-all thanks to its high-performance wicking knit fabrication, which pulls moisture away from the body and enables sweat to evaporate quickly. A progressive tech tee at a nice price, Columbia&apos;s soft, stretchy, UPF-30 Accelerwick Short Sleeve Shirt protects you from the sun and keeps you dry and comfortable through heat and hard work-all thanks to its high-performance wicking knit fabrication, which pulls moisture away from the body and enables sweat to evaporate quickly. Omni-Wick pulls moisture away from the body and enables perspiration to evaporate quickly, keeping you dry and comfortable.